I was reading Bloomberg BusinessWeek’s, “The People Who Defined Global Business in 2017” and Beatrice Fihn was one of the 50. She is a Swedish lawyer attempting to convince the world that weapons of mass destruction are not efficient. Calling them useless weapons and clumsy, she said their radiation harms more than the intended target and are the opposite of modern warfare like drones and autonomous weapons systems. These “new” weapons don’t wipe out an entire city in less than 10 seconds but rather laser focus on the target. Who would have ever thought that the power of persuasion would be used to convince folks how to use the best weapons to win the war? I am intrigued by the idea and of course relate it to our insurance industry. Saying that this issue not be one that “only older, gray haired men in suits with lots of technical language get to talk about,” she is pushing the United Nations and others to listen to her new ideas. I have the privilege of talking to many millennials that are a part of our industry and want to hear from you. What new ideas do you have that can laser focus on our target – keeping our promises to our policyholders and delivering? Standing by and let me know! With the Florida House having already done a lot of its heavy lifting the week before last (passing AOB, PIP, and Workers’ Comp reforms) this past week was spent birthing its big hurricane report and advancing other bills. These included establishing adult civil citation/diversion programs statewide, increasing the scope of ARNPs and Physician Assistants, and lobbying and ethics reform. The Senate meanwhile took up “Windshield AOB” reform for the first time as well as advancing Telehealth. Neither chamber held floor sessions. The hurricane report, by the House Select Committee on Hurricane Response and Preparedness, contains 78 recommendations to make Florida a safer and better prepared state when the next big hurricane hits. It was a labor of love for many members and those who took the time to testify before them over 13 hours of hearings last fall. It’s a thoughtful report, packed with interesting ideas (but few price tags for implementation), and a crucial step in evaluating the lessons from Hurricane Irma and developing an action plan to prepare, respond, and rebuild better when the next storm is on the horizon. Hurricane season starts in just a little more than four months from today. We have a summary of the report in this Bill Watch, along with a link to the full report and recommendations. It’s well worth the read. As the legislature begins its third week of session this morning, look for initial budget proposals to begin occupying the spotlight. Progress made this past week on bills to combat Florida’s opioid epidemic and texting while driving will continue before new committees this week. Bill Watch has been reorganized to allow readers to more easily identify and focus on those bills progressing through the legislative process. We list bills by those “In Play” and those “Not in Play”. We watch both lists carefully, for anything can happen with seemingly dead bills becoming amendments and tacked onto other bills and other maneuvers. Assignment of Benefits (AOB) – Differences between the House and Senate versions of AOB reform boil down to how to handle attorney fees in third-party disputes (the same differences that sunk reform efforts last year). Last week, the Senate’s bill was supposed to have its debut in committee but was placed last on the agenda and so, of course, time ran out. SB 1168 by Senator Greg Steube (R-Sarasota) was on the Senate, Banking & Insurance Committee’s agenda but wasn’t considered and has been rescheduled for tomorrow. Although it has some key reforms, it doesn’t touch attorney fees. Instead it prohibits insurance companies from including the costs of attorney fees paid in losing cases into their rate base or future rate requests. That idea, originally floated by Democratic Senator Gary Farmer in SB 256 (see below in “Not in Play”) prompted Insurance Commissioner David Altmaier to call it “one of the worst ideas he’s heard.” The reason the commissioner has this opinion is that insurance companies, for the most part, are not the instigator of litigation; the vast majority of AOB suits are from AOB law firm “factories,” much like the home foreclosure saga where trial lawyer firms filed thousands of suits against banks. Senator Steube’s bill also limits an insurer’s ability to deny coverage because of fraud by an insurance applicant. The bill reflects, in part, Committee Chair Anitere Flores (R-Miami) long-stated position that any AOB bill with fraud relief would have to guarantee lower insurance rates as a result. She took testimony last fall from various sides over several weeks to try to broker an AOB reform compromise bill and SB1168, filed right at the end of the last committee week in December, is apparently the vehicle for some type of reform. Several amendments to SB 1168 were filed as well including one that appears to prohibit preferred vendor programs, which contractors using AOB’s say prevent them from getting insurance company business because they can’t get into repair networks. .Another amendment mandates that the insurance commissioner implement a “presumed factor” to reduce rates 25%, which takes aim at testimony saying that AOBs are the cause of rate increases so the “presumption” is that AOB reform will reduce rates. To watch Tuesday’s 3:30 pm Senate Banking and Insurance Committee meeting: Go to www.thefloridachannel.org, then on the right side select LIVE STREAM, then scroll down and select the Senate Banking and Insurance Committee. Best to do this around 3 pm, a few minutes prior to the hearing’s start as the event might not be posted much earlier. The Florida House on January 12 passed its version of AOB reform, with HB 7015 by Rep. Jay Trumbull (R-Panama City). The bill addresses AOB abuses and enhances consumer/policyholder protections. It’s a replica of last session’s HB 1421, which had passed the House but was never heard in the Senate. The bill allows AOBs to exist under certain conditions, and requires that they be in writing, contain an estimate of services, notice the insurer, and allow the policyholder 7 days to rescind the AOB. It prohibits specified fees as part of an AOB as well as any policy changes related to a managed repair program. It requires a 10-business day notice prior to filing suit against an insurer, an assignee’s pre-suit settlement demand and insurer’s pre-suit settlement offer, and puts parameters around attorney fees. There would be consumer disclosure language so the consumer is fully aware of the consequences when executing an AOB and would limit an assignee from recovering certain costs directly from the policyholder. Beginning in 2020, insurers would be required to report to OIR their data on claims paid via AOBs. If the difference between the judgment and the settlement offer is less than 25 percent of the disputed amount, then the insurer is entitled to attorney fees. If the difference between the judgment and the settlement offer is at least 25 percent but less than 50 percent of the disputed amount, neither party is entitled to fees. Meanwhile, Rep. David Santiago (R-Deltona), who has been a champion in the fight against the abuse of assignment of benefits for the past several years, has a catch-all insurance bill (HB 465), known as an “omnibus” bill to change several provisions of the insurance code. Late last week a proposed committee substitute for the bill was filed and is scheduled to be heard tomorrow before the House Insurance and Banking Subcommittee. The bill expanded from 15 to 55 pages. While the committee substitute continues to cover several insurance topics such as property, auto, and surplus lines, it removed one of the most interesting, which excluded from the Department of Financial Services complaint registry complaints filed by third parties who are not satisfied with an insurance company’s claims handling when an assignment of benefits is involved. The thinking is that there is an incentive by third party vendors to dispute the claim to delay it, which drives up the cost of the claim. Again, this provision is NOT in the newest version of the bill. We will provide a more detailed version of changes in next week’s report. (To watch the hearing, please go to www.thefloridachannel.org, then on the right side select LIVE STREAM, then scroll down and select the House Insurance and Banking Subcommittee.) The Senate Bill (SB 784) by Senator Brandes has not been placed on an agenda thus far. Windshield AOB – Senator Dorothy Hukill’s SB 396, would allow auto insurers to require an inspection of a damaged windshield of a covered motor vehicle before the windshield repair or replacement is authorized. The bill saw its first light of day last week, passing 11-0 out of the Senate Banking and Insurance Committee. Senator Hukill said the bill addresses “the proliferation of damaged windshields in Florida by bad actors, waiting in parking lots and car washes, offering free windshields and incentives for their services, whether needed or not, and it’s driving up costs.” The bill passed with two amendments that require the inspection take place within 24 hours from the notice of a claim – but must be skipped if the damage has impacted the vehicle’s structural integrity or otherwise would be a violation to drive on the roadway. The bill is also meant to cut down on the number of AOB lawsuits by out-of-network windshield shops. Those lawsuits, according to the state Department of Financial Services, have grown from 397 in 2006 to 19,513 in 2017. Hukill’s bill has an identical companion bill in the House (HB 811) by Rep. Plasencia, which is still awaiting its first of three committee hearings. Workers’ Compensation – Like AOB reform, Workers’ Comp reform is another issue being fast-tracked by the Florida House while the Senate still has no formal bill. The House, on January 12, passed HB 7009 by Rep. Danny Burgess (R-Zephyrhills). It’s a near replica of HB 7085 from last session that died over disputes on maximum hourly attorney fees. This is by far one of the most contentious – and by court rulings, most immediate – issues facing the legislature after the state Supreme Court’s 2016 ruling that our workers’ comp system was unconstitutional. While the bill has no Senate companion, Senate President Negron has been quoted as saying his chamber is eager to pass something this session. Last year’s House bill came on the heels of a 14.5% average increase in workers’ comp rates – adding to the urgency. This fall, however, OIR approved decreased rates averaging 9.5%. Rep. Burgess has warned that those decreased rates don’t reflect the lagging cost increases still anticipated from state Supreme Court decisions throwing out limits on attorney fees and extending certain disability payments. Recent statistics do show increases in workers’ comp legal fees, as previously reported in the LMA Newsletter. Rep. Burgess said it was important to be proactive and pass reforms now, before the next rate increase. The bill eliminates fee schedules but puts a cap of $150/hour on plaintiff (workers) attorney fees. Workers’ Compensation for First Responders – Continued progress this past week on CS/SB 376 by Senator Lauren Book (D-Plantation) which removes the requirement on some first responders that there be a physical injury in some circumstances in order to receive medical benefits for a “mental or nervous injury”, so long as the responder witnessed a specified traumatic event. The bill passed the Senate Commerce and Tourism Committee unanimously last Tuesday – its second committee – and now goes to the Appropriations Committee. These efforts are inspired, in part, by the city of Orlando’s refusal to pay such benefits to a police officer reportedly diagnosed with PTSD after responding to the Pulse nightclub shootings. House bill HB 227 by Rep. Matt Willhite (D-Royal Palm Beach) and SB 126 by Senator Victor Torres (D-Kissimmee), which would require treatment begin within 15 days, have not been heard. Personal Injury Protection (PIP), also called No Fault Insurance – There’s no further progress to report from this past week on PIP, following successful House passage earlier this month and the Senate’s initial movement on its bill. These various bills under consideration would eliminate the state requirement that motorists carry $10,000 in PIP insurance and put responsibility for vehicle accidents on the party at fault. The House chalked up another quick victory on January 12 with passage of HB 19. The bill eliminates PIP and would require motorists instead to carry Bodily Injury liability insurance at a minimum $25K/$50K level. Rep. Erin Grall (R-Vero Beach) who is sponsoring this bill for second year in a row, has noted that despite various PIP reforms in the past, costs keep going up, driven partly by fraud. OIR and committee staff analysis show auto rates would go down (5.6% overall) if the bill passes and should encourage those driving illegally without proper insurance (22% of Florida drivers she has said) to get coverage. The bill also revises the uninsured and underinsured coverage legal damage thresholds. The Senate’s answer to PIP reform took its first formal step forward on January 10 with the Banking and Insurance Committee passing SB 150, by Senator Tom Lee (R-Brandon). It goes beyond the House bill and replaces PIP with mandatory $5,000 of Med Pay coverage (and loses the consumer savings as a result) plus varying amounts of Bodily Injury liability limits which appears to give consumers choices. Senator Lee revamped his original bill to now focus Med Pay coverage solely on emergency hospital treatment and within two weeks after the accident. The bill was further amended to allow less expensive treatment by other practitioners, including chiropractors. Some senators expressed concern that the bill will effectively raise auto insurance rates for those motorists who have just PIP policies. But Senator Lee refuted that, noting that mandatory BI will cost $49 per $1,000 of coverage versus the current $121 per $1,000 of PIP coverage. As an example, he said a scenario of PIP + minimum BI + Med Pay would cost just $4 more, proof of a more efficient system without PIP. Senators are facing pressure by Incoming Senate President Bill Galvano to “get ‘er done” this session before he takes over in the fall. The bill is awaiting its next hearing before the Appropriations Subcommittee on Health and Human Services. Hurricane Irma Damage – The House Select Committee on Hurricane Response and Preparedness issued its final report last week of 78 recommendations to make Florida a safer and better prepared state when the next big hurricane hits. They include extending the Suncoast Parkway from Citrus County to the Georgia line to aid in evacuations, strengthening the power grid, and better protecting vulnerable populations housed in shelters and senior care facilities. The report is now in the hands of House Speaker Corcoran who has made clear the House spending priorities this session will be for hurricane relief. Both chambers have bills that would make backup generators mandatory and nursing homes and assisted-living facilities, one of the report’s recommendations. How to help the industry pay for it is still being debated. Among the proposals are increasing Medicaid reimbursement rates or offering tax incentives. The report capped 20 hours of committee meetings over two months hearing various ideas from government and private interests. Hurricane Flood Insurance – There’s no further progress to report from this past week on this issue. One of the bills out of the chute in Irma’s aftermath is CS/HB 1011 by Rep. Janet Cruz (D-Tampa) which would require homeowners insurance policies that do not include flood insurance (most don’t) to so declare and would require policyholders to initial that declaration in acknowledgment. The bill and its Senate counterpart, SB 1282 by Senator Taddeo (D-Miami) were filed in December and prompted by two realities: upwards of 60% of Irma’s damage here was caused by water and up to 80% of Florida flood victims may not have either NFIP or private flood coverage. Insurance Commissioner Altmaier told legislators a month after Irma hit that he believed flood losses alone in Florida could exceed $4.5 billion and that certain areas of the state could see flood losses that exceed wind losses. A newer version of the House bill unanimously passed the House Insurance and Banking Subcommittee on January 10 and awaits a date in the Commerce Committee. Its Senate companion hasn’t moved. Florida Hurricane Cat Fund – A newer version of HB 97 by Rep. David Santiago (R-Deltona) was filed late last week and will get its first hearing before the House Insurance and Banking Subcommittee tomorrow. . Earmarked funding for home hardening was removed from the bill and little effort in this version is made to reduce rates on policyholders by eliminating or immediately and significantly reducing the rapid cash build-up factor. One political observer quipped that the Cat Fund is apparently the only $18 billion fund that is so complicated, the legislature likes to leave it status quo. SB 1454 by Senator Brandes (R-St. Petersburg) has key similarities but would eliminate the rapid cash build-up factor resulting in immediate rate savings. The factor was created by the legislature in 2002, raised to 25% in 2006, repealed in 2007, and re-introduced in 2009 at 5%, and increased in increments of 5% per year until it reached its current level of 25% in 2013. The elimination of this “hurricane tax” as it is described will reduce rates approximately 4% but may be offset by other rate increase drivers like the assignment of benefits. SB 1454 still awaits its first hearing. Property Tax Exemption for Generators – Designed to help those who want to help themselves the next time a big hurricane or other calamity hits and the power goes out, SJR 974 by Senator Jeff Brandes (R-Pinellas) would place a constitutional amendment on the 2018 ballot for voters to consider a property tax exemption for the just value of a permanently installed stand-by generator system when assessing annual property taxes; a companion bill SB 976 (Brandes) would implement the measure. Direct Primary Care – There is a new development from last week on this healthcare alternative. CS/SB 80 by Senator Lee, allows doctors to enter into monthly fee for service arrangements directly with individuals or employers, essentially bypassing health insurance organizations. Informally dubbed “concierge medicine for the masses”, the bill passed by unanimous votes in October out of the Banking and Insurance, as well as the Health Policy Committees and awaits action in the Appropriations Committee. SB 80 has a companion bill in the House (HB 37) by Rep. Burgess which passed the House Health and Human Services Committee unanimously in November – it’s only stop – and now awaits to be taken up by the full House. Late last Friday afternoon, Senator Evan Jenne (D- Hollywood) filed two amendments to HB 37 (102461 and 304663) which would essentially add Obamacare provisions by preventing a primary care practice from declining a new patient because of health status or discontinuing care to an existing patient due to health status; and eliminating refunds to an employer paying on behalf of an employee, directing the refund go instead to the patient. Health Insurer Authorization – CS/SB 98 by Senator Steube passed unanimously out of the Senate Rules Committee last week and is ready for a vote before the full Senate. It and a revamped companion bill CS/HB 199 by Rep. Shawn Harrison (R-Tampa) would prohibit prior authorization forms from requiring information not necessary to determine the medical necessity or coverage for a treatment or prescription. The bills would also require health insurers and their pharmacy benefits managers to provide requirements and restrictions on prior authorizations in understandable language and to make them available on the internet, along with a 60-day notice of any changes. CS/HB 199 also defines “step therapy” and prohibits insurers and HMOs from requiring patients repeat step therapy protocols. It passed the House Health Innovations Subcommittee last week and non goes to the Insurance and Banking Subcommittee. Senator Steube is also sponsoring SB 162 that would prohibit health insurers and HMOs from retroactively denying insurance claims under certain circumstances. The bill is scheduled to be heard tomorrow in the Senate Health Policy Committee after unanimously passing the Banking and Insurance Committee in December. Flood Insurance and Mitigation – There’s no further progress to report from this past week on this issue. SB 158 by Senator Jeff Brandes (R-St. Petersburg) provides greater funding for flood mitigation so that more individuals and communities can meet NFIP flood insurance standards. The bill would allow flood mitigation projects to be funded by the Florida Communities Trust to reduce flood hazards. Senator Brandes has for the past 5 years taken the lead in Florida in the flood insurance arena. The bill has been referred to the Committees on Environmental Preservation and Conservation, Appropriations, and the Appropriations Subcommittee on the Environment and Natural Resources but has not been scheduled to be heard. An identical House companion, HB 1097 by Rep. Cyndi Stevenson (R-St. Augustine) was filed in later December. Telehealth – A new version of CS/SB 280 by Senator Aaron Bean (R-Fernandina Beach) passed its first hearing last Tuesday with a unanimous vote by the Senate Banking and Insurance Committee. It’s part of a continued effort to put remote health practitioner visits via the internet on an equal footing as in-office visits, in order to reduce health costs and provide parity of care to rural patients. A state panel in 2016 executed a list of legislative directives to help smooth the kinks and establish recommended procedures to help make this bill a reality. SB 280 would establish the standard of care for telehealth providers; encourage the state group health insurance program to include telehealth coverage for state employees; and encourage insurers offering certain workers’ compensation and employer’s liability insurance plans to include telehealth services. A companion, HB 793 by Rep. Massullo, was filed in late November and has been referred to the House Health Quality Subcommittee and the Health and Human Services Committee. Texting While Driving – Moving Florida’s current ban on texting while driving from a secondary offense (where you can be ticketed during a traffic stop made for another reason) to a primary offense continues to steadily advance. Under HB 33 by Rep. Jackie Toledo (R-Tampa), first-time violators would face a $30 fine plus court costs for a non-moving violation. Second-time offenders would face a $60 fine plus court costs with a moving violation. Those involved in crashes or texting in school zones face additional penalties. 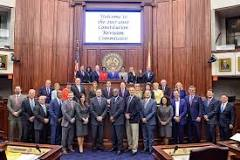 Like SB 90 by Senator Keith Perry (R-Gainesville), this bill requires the officer notify the driver of the constitutional right not to have their cellphone examined by authorities. Neither applies to stationary vehicles. Florida one of four states where texting while driving isn’t a primary offense. SB 90 goes before the Appropriations Subcommittee on Transportation, Tourism, and Economic Development tomorrow – its third of four stops before a full Senate vote. HB 33 passed the House Transportation & Infrastructure Subcommittee unanimously on January 9 and awaits its next hearing in Judiciary. House Speaker Corcoran has thrown his full support for the measure. Controlled Substances – Two bills are progressing rapidly now through their respective chambers to address the huge increase in Florida’s accidental drug overdose deaths. SB 8 by Senator Lizbeth Benacquisto (R-Ft. Myers) passed the Health Policy Committee by vote of 8-0 last week and now goes before the Appropriations Committee this Wednesday. It would restrict an opioid supply to three days for standard prescriptions but would allow doctors up to a seven-day supply in certain medical cases. Additionally, it provides for more continuing education for responsibly prescribing opioids and requires participation in the Prescription Drug Monitoring Program by all healthcare professionals that prescribe opiates. Speakers at past hearings have included doctors and patient groups and were very positive and supportive of the bill. Pain doctors expressed some concern about the three-day limit, but overall, the bill’s concepts have been favorably viewed. A similar bill in the House (HB 21) by Rep. Jim Boyd (R-Bradenton) passed the House Health Quality Subcommittee and is scheduled today before the Appropriations Committee. It has the same prescription limits as the Senate version. It would also authorize the state Department of Health to share data with other states to avoid patient abuse in filling multiple prescriptions. Governor Scott has requested the legislature appropriate $53 million toward the fight against opioid abuse, something state Attorney General Pam Bondi this past week called “a great start” but nowhere near enough given the funding that will be necessary for treatment. She serves on the President’s Opioid and Drug Abuse Commission. She’s also conducting a multistate investigation into potentially unlawful practices by drug companies in the distribution, marketing, and sales of opioids. A November report by the FDLE’s Medical Examiners Commission found the total number of drug-related deaths in Florida rose 22% from 2015 to 2016. The number of opioid deaths were up 35%, where opioids were either the cause of death or present in the decedents. And this whopper: deaths from the especially dangerous synthetic opioid fentanyl rose 97%. In fact, the report showed death from almost all kinds of drugs, prescription, street drugs, and alcohol – were all up. Deaths by cocaine jumped 83%. One of our readers sent us this research published in the Journal of the American Medical Association showing that states with any kind of medical marijuana law had a 25 percent lower rate of death from opioid overdoses than other states. Insurers in December announced that they are seeking reimbursement for the high cost of opioid addictions: Opioid Pain Treatment Addiction Costs Workers’ Comp Carriers, Health Insurers Billions. Trade Secrets in Public Records – CS/HB 459 & CS/HB 461 by Rep. Ralph Massullo (R-Beverly Hills) were revamped this past week on January 17 and passed the House Oversight, Transparency and Administration Subcommittee. On a related note, a Leon County judge ruled last week as well that a TV production/PR company had to release its records surrounding a state contract involving Emeril Lagasse’s $11.6 million Visit Florida contract. These bills and this judicial dispute arise from House Speaker Richard Corcoran’s October press conference about his objection to state agencies who claim trade secret to shield contract and vendor information. Corcoran said that agencies should not be entitled to trade secret privileges if they “spend one penny of taxpayers’ dollars.” HB 459 repeals over 75 public records exemption references in current law, including the trade secret process used in the insurance code, Section 624.4213, Florida Statute. Interestingly, a “sister” bill to HB 459, HB 461 appears to re-enact a new trade secret process that is not unlike current law regulating insurance entities use of trade secrets now. So in essence, HB 459 repeals the current insurance entity trade secret practice and HB 461 restores it. Much of this is procedural and we will follow this closely. HB 459 has companion SB 956 and similar bill SB 958 (both filed by Senator Mayfield in November) and HB 461 has a similar bill in SB 958. Neither Senate Bill has progressed so far. Autonomous Vehicles – HB 353 by Rep. Jason Fischer (R-Jacksonville) authorizes the use of vehicles in autonomous mode. It gets its second hearing today before the House Appropriations Committee. The autonomous technology would be considered the human operator of the motor vehicle and provides that various provisions of law regarding motor vehicles such as rendering aid in the event of a crash do not apply to vehicles in autonomous mode where a human operator is not physically present as long as the vehicle owner promptly contacts law enforcement. The bill also addresses the applicability of laws regarding unattended motor vehicles and passenger restraint requirements as they relate to vehicles operating in autonomous mode where a human operator is not physically present in the vehicle. A Senate companion (SB 712) by Senator Brandes was filed in November and referred to the Transportation, Banking and Insurance, and Rules Committees. There’s been no movement since. But could other language requiring prior appraisal and mediation help stem abuses? Security First Insurance has lost its bid to have an appeals court re-examine a ruling denying the homeowners insurer use of assignment of benefit policy language currently used by at least six other insurers in the Florida marketplace. The company had sought a review of the decision by the full 5th District Court of Appeal after a three-judge panel ruled against the company, saying the language violated state statutes allowing policyholders to enter into AOB contracts without restrictions. Security First also sought certification of questions to the state Supreme Court “of public interest and importance” from the case, which was also denied in the appeal. Meanwhile, there is an interesting development on another court case involving policy language that is holding up in a court of law. Two Miami-Dade Circuit Court judges each tossed out a lawsuit filed by a policyholder against United Property & Casualty Insurance over two separate claims. The judges granted Summary Judgments in favor of the insurer because the policyholder and their law firm failed to participate in mediation or appraisal prior to bringing the lawsuits. The court referenced that the insured failed to either invoke the mediation or appraisal provisions of the policy, despite a clear contractual post-loss condition in the insurance policy mandating that “[m]ediation or [a]ppraisal is required as a prerequisite before an Insured can file suit related to Section I of this policy regarding the amount of loss.” At no time prior to the filing of the lawsuit did the insured participate in mediation or appraisal. Groelle & Salmon represented the company in these cases. It seems to us, here at Lisa Miller & Associates, that this language would help solve the AOB problem as long as OIR approved. If not, putting a requirement in the law would help as it did in Texas for its Texas Windstorm Insurance Association (TWIA). Food for thought friends! 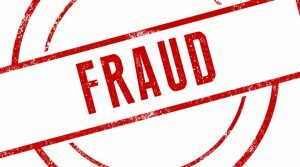 When we talk about the role some attorneys can play in Assignment of Benefits and other types of insurance fraud, some readers may have a hard time wrapping their heads around the idea. Here’s the latest true life story. A Miami attorney who was arrested in 2016 for her role in a $1.5 million personal injury insurance fraud scheme has now been disbarred. Anett Lopez, age 43, who ironically practiced law from an office right around the corner from the Turner Guilford Knight Correctional Center where she was booked, agreed to give up her law license last summer. She’d been suspended twice previously. According to a news release at the time from the CFO’s office, Lopez was arrested for helping advance an organized Personal Injury Protection (PIP) insurance fraud scheme operating out of a Miami medical clinic called Care Resources Group, LLC. Lopez was the clinic’s attorney who was responsible for the filing of numerous lawsuits on behalf of the clinic. She filed lawsuits against more than a dozen separate insurance providers resulting in insurance payouts totaling $1,476,988. The investigation revealed that Lopez was aware of the clinic’s multiple illegal practices, including a straw ownership scheme, when filing the lawsuits. She was charged at the time with 15 felony charges, including one count of organized scheme to defraud, seven counts of insurance fraud, and seven counts of grand theft. The clinic’s owner, Dr. Mario Torres and five other individuals were also arrested in the clinic’s illegal practices which, in addition to the straw ownership, included money laundering and the solicitation of motor vehicle accident victims. Although Lopez faced upwards of 85 years in prison on the initial charges, records indicate she was sentenced to four years of probation on one count of filing a false insurance claim and four years of probation on the one count of organized scheme to defraud. One hopes that voluntarily giving up a law license is not a get-out-of-serious-prosecution card. Leading data analytics provider Verisk recently announced the launch of a new personal lines flood insurance program through its Insurance Services Office (ISO) subsidiary that it says will make it easier for insurance companies to write flood coverage to homeowners in the continental U.S. Such a move would provide needed competition and complementation to the federal government’s National Flood Insurance Program (NFIP), currently $25+ billion underwater. The ISO program allows insurers to enter the private flood market by offering broader and more flexible coverages than the NFIP and to do so utilizing templates similar to a standard homeowners policy that most consumers are already familiar with. The rating manual for ISO’s new personal lines flood program also takes a fresh look at traditional flood territories, dividing the country into 57 territories. “Through a combination of models developed by AIR Worldwide and extensive analysis of ISO and NFIP data, ISO has designed a comprehensive and actuarially sound rating structure encompassing every address in the lower 48 states,” said Marc Treacy, ISO’s managing director of flood, in a company release. We know from personal experience here in Florida with Hurricane Irma, that many people who suffered flood damage didn’t have flood insurance. That was certainly the case as well for victims of Hurricane Harvey in Texas. There’s a tremendous underserved segment of homeowners and commercial properties that need flood coverage. The ISO program also goes well beyond NFIP coverage limits; it lets insurers offer coverages and deductibles with options to include additional living expenses; other structures on the property such as detached garages, fences, and pools; and damage to personal property in a belowground area. What’s also needed to really make new private market alternatives available for more consumers is for Congress to include changes in NFIP’s next reauthorization that will enable private policies to satisfy requirements of federal government-backed mortgage lenders. Here in Florida, we’ve already addressed some of those regulatory obstacles, thanks to the legislature’s passage over the last few years of SB 542 and SB 1094 , and this past year’s HB 813, which together streamline the process for private insurance carriers to write flood insurance in Florida. Championed by Senator Jeff Brandes from Pinellas County, these measures serve as model legislation for other states. The number of companies writing flood policies in Florida has nearly doubled in the last year, while Congress tries and tries to reform the NFIP. Florida’s Constitutional Revision Commission has begun weeding through more than 100 proposals put forth by its 37 members for consideration for Florida voters in the November 6 general election. The Commission convenes every 20 years for the purpose of examining the state constitution and determining what changes may be needed in the form of new proposed constitutional amendments. Florida voters then have the final say – any new amendment requires a minimum 60% approval of voters to become part of the state Constitution. Eliminating salaries paid to members of local school boards, state university boards of trustees, the State Board of Governors, and the State Board of Education. Proposal 11 – Would allow all qualified voters, regardless of their party affiliation, to vote in a partisan primary election if all candidates for the office have the same party affiliation and winner will be opposed in the general election only by one or more write-in candidates. Proposal 12 – Would delete an obsolete provision in the state constitution regarding development of a high speed rail system. Six other proposals by the public were said to have inspired, or are similar to, other Commissioner proposals. You can review the complete list of both public and Commissioner proposals here. The Commission will begin a second tour of public hearings across Florida beginning next month. It’s an opportunity for Floridians to shape proposed constitutional revisions before they are placed on the November ballot. You can access the public hearing schedule here. 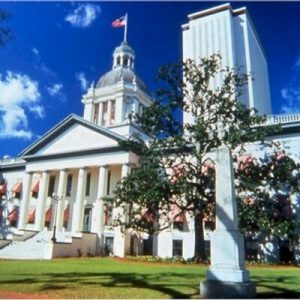 Nearly 10 years ago the Florida Legislature directed the State Board of Administration (SBA), which oversees all of the state’s investments, primarily through the Florida Retirement System, to invest a percentage of its portfolio in Florida’s mostly homegrown companies and private equity funds. A new report out reveals it was a shrewd investment move and economic development directive wrapped up into one proven public policy winner. The legislature’s Office of Public Policy and Government Accountability this past Friday released a report showing that the Florida Growth Fund investments have provided more than $300 million in distributions to the Florida Retirement System (FRS). It’s been so successful, fund managers continue to aggressively seek new investment opportunities. State law authorizes the SBA to invest up to 1.5% of net FRS Trust Fund assets in technology and high-growth businesses with a significant presence in Florida. As of June 30, 2017, the Florida Growth Fund program had invested $564.4 million in 41 technology and growth companies and 31 private equity funds. Investments were dispersed across 13 counties, with amounts ranging from $6.8 million in Manatee County to $165.2 million in Palm Beach County. Since its inception, Florida Growth Fund I has experienced a net internal rate of return of 12.6% and has distributed $294.8 million to the Florida Retirement System as of June 30, 2017. Due to the success of Florida Growth Fund I, the SBA’s managers authorized the initiation of Florida Growth Fund II, which made its first commitment in December 2014. To date, Florida Growth Fund II has made eight fund commitments and seven direct investments, totaling $125.6 million in capital. Florida Growth Fund II had generated a 14.7% net internal rate of return as of June 30, 2017, and distributed $9.2 million to the Florida Retirement System. This was the first year of positive returns since Florida Growth Fund II was initiated. The program’s investments resulted in reported economic benefits to the state. Companies that received Florida Growth Fund program investments reported creating 16,882 jobs as of June 30, 2017. The companies also reported paying an average annual salary of $77,808 for those jobs created over the past year; however, salaries varied widely, from $17,680 to $750,000. With that state investment, the companies themselves were able to grow and invest, too. Significantly, 13 companies and 14 private equity funds reported making $178.6 million in capital expenditures between June 30, 2016, and June 30, 2017, bringing total capital expenditures to $545.9 million since the fund’s inception. Now that’s an investment in Florida that keeps on giving! We thought it fitting to close this week’s edition of the LMA Newsletter with our thoughts going to those who work with the federal government. Because of the lack of cooperation between our nation’s leaders and their inability to work together, the federal government will be closed this morning unless something happened overnight while we were going to press. Two major issues are tied-in to the government re-upping a new budget: reauthorizing the nation’s flood insurance program and settling on ways to deal with “Dreamers,” children born here whose parents are illegal immigrants. The former will conceivably shut down real estate closings, our nation’s number one economic driver and the latter will tear apart families. You would think sitting down over a good cup of coffee and a good attitude might solve the impasse. Like we did from the small town where I grew up…am curious to hear how our readers would propose we fix the stalemate! Will see you on the trail this week! !